Mike Tannenbaum does it again. First the hefty Jets GM fulfilled his top priority in re-signing Santonio Holmes. Now hes gone and acquired Carlos Beltran from the Mets. While the Jets could not afford to trade a top prospect for Beltran the two teams have agreed in principle to a deal. The details of the trade have not yet been disclosed, I suspect the Jets have traded a valuable bag of magic beans to the Mets for the all-star right fielder. When asked about this rumor Beltran said ” As long as I do not have to DH”. I was not shocked when hearing about this deal because this off-season the Jets have decided to acquire everyone available. The National Basketball Association is currently in the early stages of a lockout. Why? Because a vast majority of the teams in the NBA hemorrhaged money last season. As usual I’ve decided to get the bottom of it using hard investigative reporting and fabricating profusely. Here are some contributing factors to how the NBA ended up in the red. The NBA’s inaugural Brian Scalabrine appreciation night never really took off. Marv Albert is currently being paid more than 3 quarters of the Charlotte Bobcats roster. 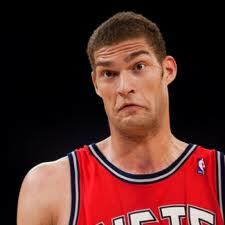 Studies have shown that 15 percent of NBA fans refuse to attend a game in which Blake Griffin doesn’t dunk. The New York Mets have been playing inspired baseball the last couple months under Terry Collins. The player most responsible for the season the Mets are having has been Jose Reyes. After trying to discuss an extension with Reyes, Mets general manager Sandy Alderson has created a list of possible ways for the Mets to re-sign the all-star shortstop. Lucky for you I’ve managed to obtain this list. Alderson has hinted that Mets head trainer Ray Ramirez will be left alone in a room with Reyes. In my opinion this is a terrifying thought. If Ramirez gets his hands on Reyes I’d expect Jose to miss about 2 to 9 weeks. Bernie Maddoff will negotiate Reyes’ contract this offseason. Alderson has told Reyes to stop hitting the ball hard many times this year and it hasn’t worked thus far. 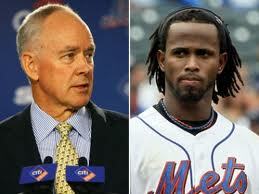 Alderson believes if he switches Reyes’ bat with Jason Bay’s bat his batting average will plummet. The ghosts of Oliver Perez and Luis Castillo will haunt Reyes’ dreams infinitely. Fred Wilpon has decided to spring for complimentary microfracture surgeries for the entire organization. Well It’s about time, now Reyes can finally fix his healthy knee. The Mets can do the unthinkable and give the MVP candidate the contract he deserves. Jose has no clue what the Mets organization will do to save some cash. The inactivity of football players due to the lockout has got some of New York’s biggest football stars looking for something to do. So I thought I’d report what these players are doing to stay in shape. Darrelle Revis- The All- Pro cornerback is doing exactly what he was doing last year, not playing football. Eli Manning- Has been spending his free time doing his brother’s chores and practicing his boyish mannerisms. Braylon Edwards- The free agent has been listening to his favorite rap artist, Waka Flocka Flame. Braylon’s favorite Waka song, ” No Hands”. Plaxico Burress– Is in Jail. Antonio Cromartie – Applied for a part time job as a Greeter at a New Jersey area Wal-Mart to feed his family. Shaun O’Hara- Is currently trying to build a desk he bought at Ikea. Has there ever been a bigger caveman? Spring Training is here and that can only mean one thing: more useless analysis about players who will most likely be working at the snack bar at your local little league by the end of March. I am willing to predict that none other than my New York Mets will lead the league in gas station attendants and will be last in the league in formidable ball players. So as the Spring progresses, I will do my best to summarize the Mets spring action. R.A Dickey pitched three innings of one run ball and was reported to have used his faster knuckleball.When asked about this Dickey responded ” What?”. Luis Castillo went one for three with an RBI single. Castillo said he felt good out their on the field and that only his hips,arms,knees,ankles, and spleen were sore. Nick ” Buggs” Evans went two for four and is hitting well over 300 so far this spring. After the game reporters asked Evans what his expectations are for this season. Evans said, ” I just renewed the lease on my condo in Buffalo and I will be on an episode of Dr. Phil airing April 13th. Cardinals Outfielder John Jay declared the Mets pitching staff unconstitutional. Kevin Burkhardt was struck by a foul ball in the seventh inning. Burkhardt seems to be fine; however Jonah Schwartz still went on to check into a mental health facility.